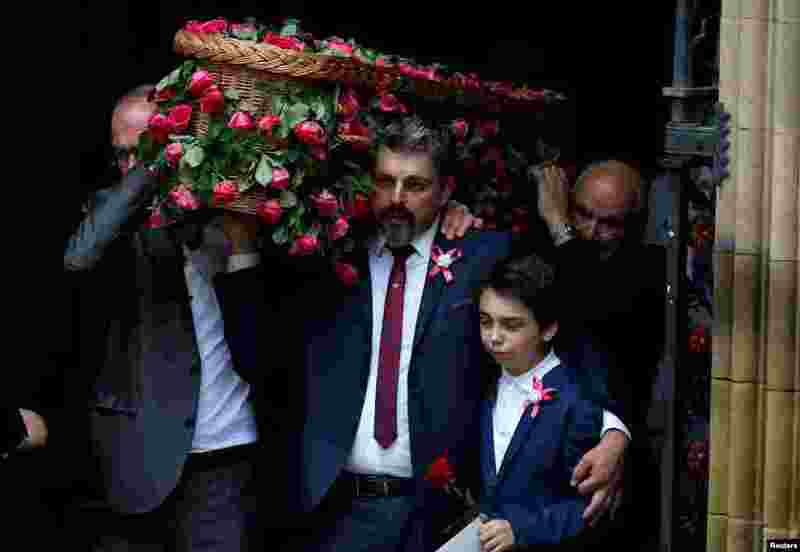 1 Andrew Roussos puts a hand around his son Xander as he carries his daughter Saffie Rose Roussos' coffin, the youngest victim of the bombing of the Manchester Arena, at her funeral at Manchester Cathedral, Britain. 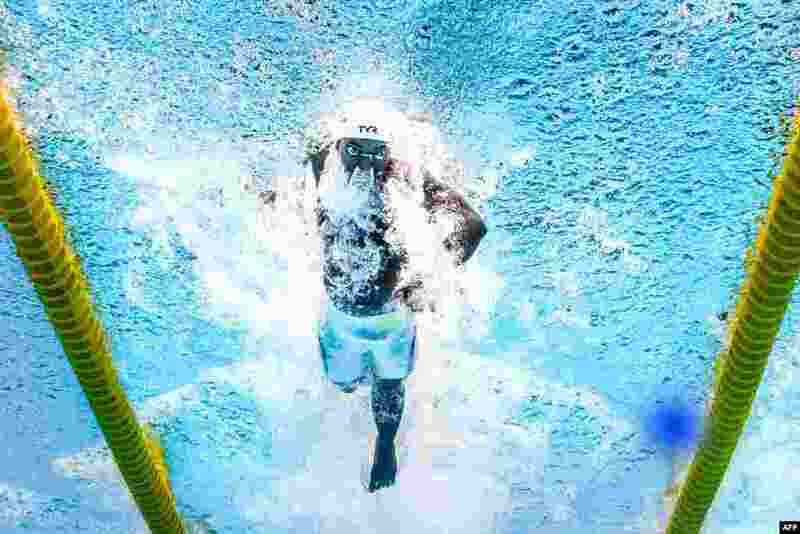 2 France's Mehdy Metella competes in a men's 100m freestyle semi-final during the swimming competition at the 2017 FINA World Championships in Budapest, Hungary. 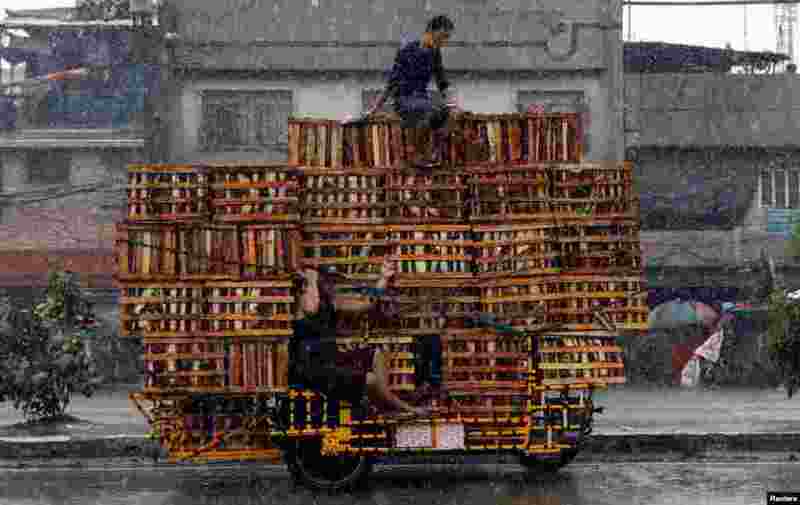 3 Vendors ride on a vehicle transporting crates containing bananas in Malabon, Metro Manila, Philippines. 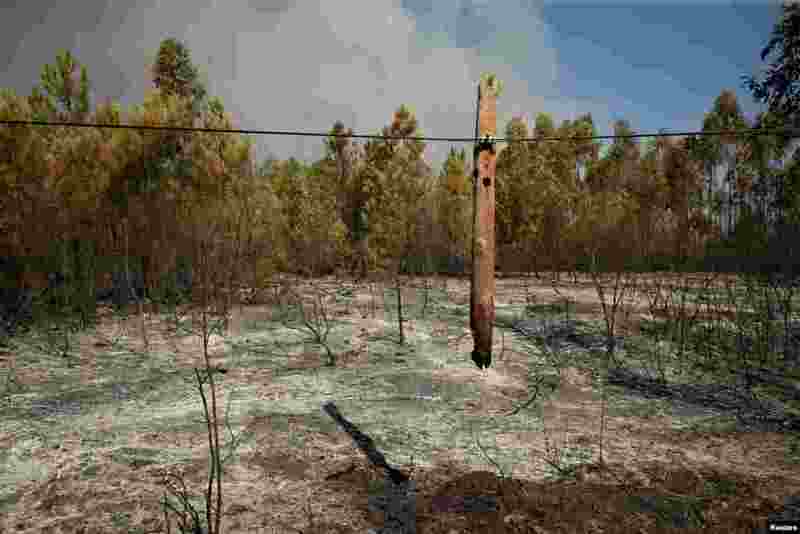 4 A burned lamp post is seen next to the village of Gaviao, Portugal.